On Friday 7th October 2016, I gave a plenary lecture at the annual conference of the Irish Association of Criminal Justice Research & Development conference. The theme of the conference was Cybercrime and my lecture welcomed the recently published Irish Law Commission report on Harmful Communications & Digital Safety. However, I challenged its claim that non-consensual sharing of private, sexual images was not a form of ‘sexual offence’. 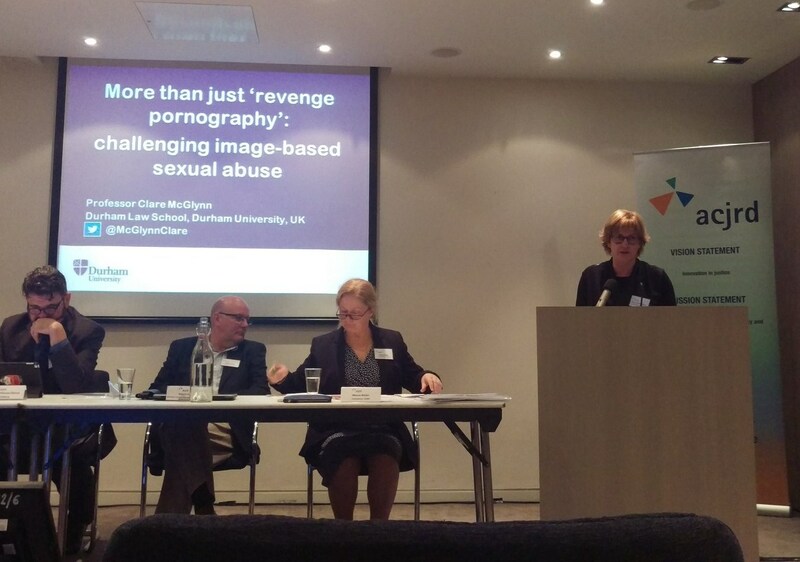 I argued that the terminology of ‘image-based sexual abuse’ better captures the nature and harms of this form of abuse: terminology matters as it shapes our legislative, political and educational responses.